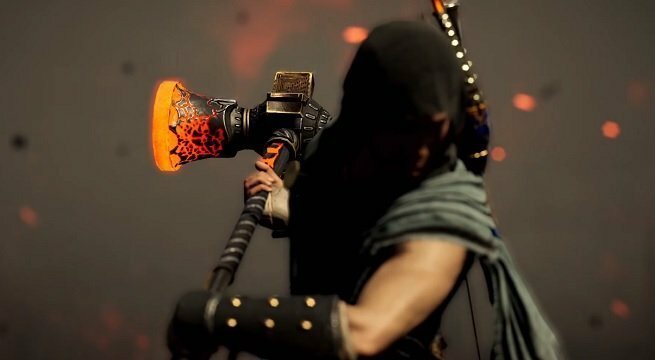 This morning Ubisoft revealed a massive new update for Assassin’s Creed Odyssey. The January update will be rolling out continually throughout the month. Some content is already available, like the new Daughters of Lalaia quest, but other new features won’t be showing up until a bit later. If you’d like something a little more comprehensive, Ubisoft did post a huge update explaining everything new coming with this update. We’re going to share the contents of that update below, but be warned that if you haven’t started playing Assassin’s Creed Odyssey, or just started playing, there are going to be some minor spoilers here. Continuing the story arc from the first episode, Hunted, in the second instalment you get to investigate a blockade initiated by the Order of the Ancients around the port city in Achaia. You’ll discover a group of stranded citizens whose lives are being threatened by a fierce naval commander, the Tempest, who is in charge of the blockade. Shadow Heritage will be available starting January 15. To start Episode 2 you need to complete the first episode, Hunted, complete the Naxos questline in Chapter 7 of the main story, and be at least level 28. DAUGHTER OF LALAIA – In Daughters of Lalaia, you will go to a village where the men have left for battle, leaving the townspeople and their children defenseless. Responding to their request, you’ll train them to prepare for incoming danger. POET’S LEGACY – In Poet’s Legacy, you’ll meet Greece’s most scandalous poet. During this questline you’ll learn that she isn’t quite what she seems as you become increasingly involved in her risqué performances. Behold, the mighty Arges will soon rise! Face the legendary Cyclops known as the Bright One, and get your chance to win his legendary weapon, the Hammer of Hephaistos. He resides on a Volcanic Island in the Angry Caldera of Arges which you can fast travel to with the additional markers added to the map in the 1.1.1 Title Update. This is an endgame challenge, so we recommend that you are at least Level 50 when attempting to face Arges. We’re happy to announce that Aya from Assassin’s Creed Origins will be joining the ranks of your Adrestia as Legacy Lieutenant! Keep an eye on the Ubisoft Club social pages later this month to ensure you don’t miss the arrival of the Egyptian Assassin. With Dionysos’ Character Pack you’ll become the most stylish misthios, dressed to impress for any occasion. The Dionysos Character pack contains a gear set, mount, and a legendary dagger. Later this month you’ll be able to get your hands on the Athena Character and Naval Pack. Like Phidias’s grand statue of Athena, this pack really impresses a crowd. Many of you already proved yourself victorious over dozens of Mercenaries and successfully claimed the prize for fighting your way to the top. Are you ready to defend your title? Good! Two more tiers have been added to the Mercenary Ladder, which will reward you with new benefits worthy of a demigod…if you can conquer them! Learn – View all existing engravings, and purchase more engravings with Drachmae. Upgrade – You can upgrade your gear to Engravings Tier 6 and 7. Engrave – As you would expect from any blacksmith, you can also engrave gear at Hephaistos’s Workshop. One of the most community-requested features since launch is coming this month. With the next update you will be able to adapt enemy scaling settings to your preferences. As soon as the update hits on January 10, visit the options menu and find the Level Scaling setting. From there you’ll be able to customize how drastically the enemies will scale to your level.